This packing machine is used to pack any loose non-cohesive granular products of food, pharmaceuticals and chemical industries such as soup mix, coffee, instant drink mix, monosodium glutamate, oat meal, detergent powder etc. This packing machine is used to pack any loose, non-cohesive, granular products of food, pharmaceuticals, and chemical industries, such as soup mix, coffee, instant drink mix, monosodium glutamate, oat meal, detergent powder etc. Packing material: paper/PE, PET/AL, foil/PE, nylon/PE, tea leaf filtering paper, etc. 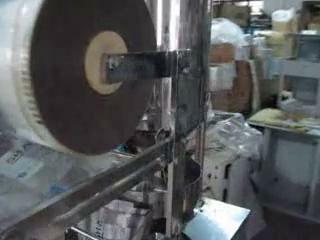 This machine is developed to produce an air cushion which is used to wrap fragile or delicate goods for protection. 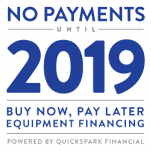 This could include items such as toys, IT products, electronical products, glass products etc. 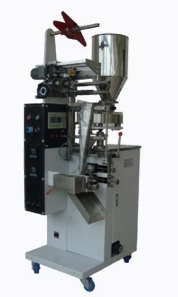 This machine is easy to operate and is compact. Measures: 28.8" x 14.5" x 40"
This bubble wrap will fit Item #620-226. Measures 10" wide. 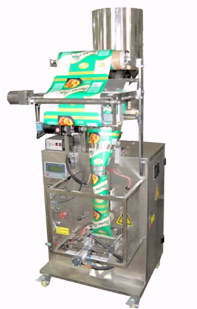 The TS-500 Hand Wrapping Machine allows hygienic product presentation and keeps products dust-free. 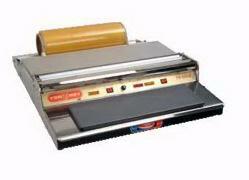 Ideal for wrapping meat, cheese and other items. The TS-500 is practical, portable and easy to use. Stainless steel construction. This freezer paper cutter will take the chore out of cutting paper. Free up your hands for easy meat storage. Great for your butcher shop, commercial kitchen or for home enthusiasts. *Freezer paper not included. Includes sturdy freezer paper dispenser, heavy duty freezer paper roll, freezer tape dispenser and freezer paper roll. Everything you need to package meat hassel-free. 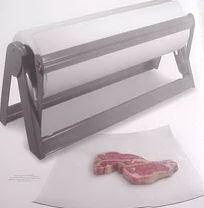 Great for your butcher shop, commercial kitchen or for home enthusiasts. 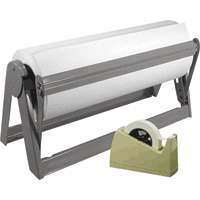 Freezer Paper Dispenser Standard 18"
Freezer paper fits standard 18" paper dispenser. Measures: 18" x 300'. Lightweight freezer paper for short term (3-6 months) storage and grocery carry-out. The unique base paper, poly coating and added plasticizer provides easy handling and protection against freezer burn. Measures 18" x 1100'. Easy handling and protection against freezer burn. Measures: 150 sq ft. 33 1/3 yds x 18"